This website is being rebuilt. Is job migration a blessing ? Steve Withington's Chinese Chess Site describes both the game and our efforts to popularise game in Sheffield. Steve and myself are chess players and both of us are fascinated by the fact that the game seems harder than International Chess. Better still, negative play is not really productive: the players must try to win at all costs, either by forcing checkmate, or acquiring sufficient material to force resignation. Sheffield is a former steelmaking town situated just on the East side of the Pennines. In 2008 there were quite a few tower cranes marking construction sites, but now the town is hit by recession, and the cranes have dissapeared. The most iconic building is Sheffield University Arts Tower. Other landmarks include the hospital, St Paul's place residential tower and Bramhall lane football ground. 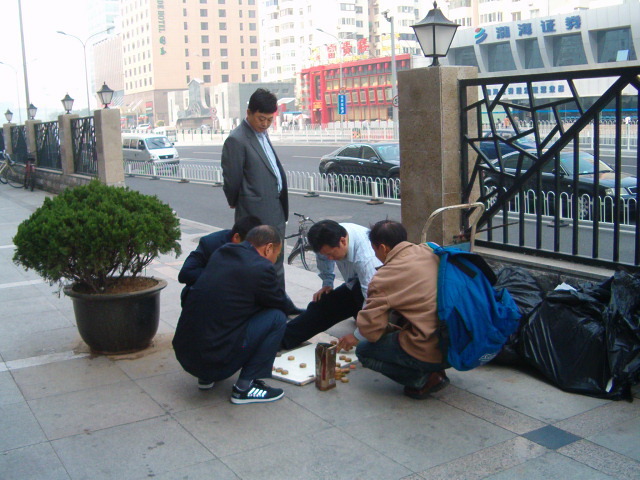 It is well known that the game is pupular amongst all social classes in China, but the same cannot be said for the UK. Download maths and xiang qi software. 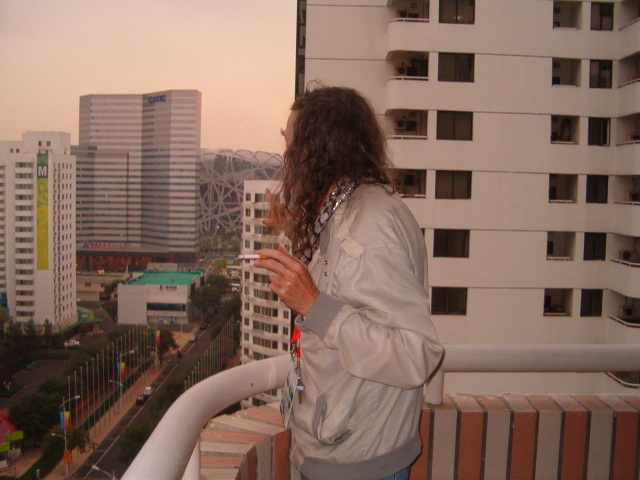 che2011.tgz. 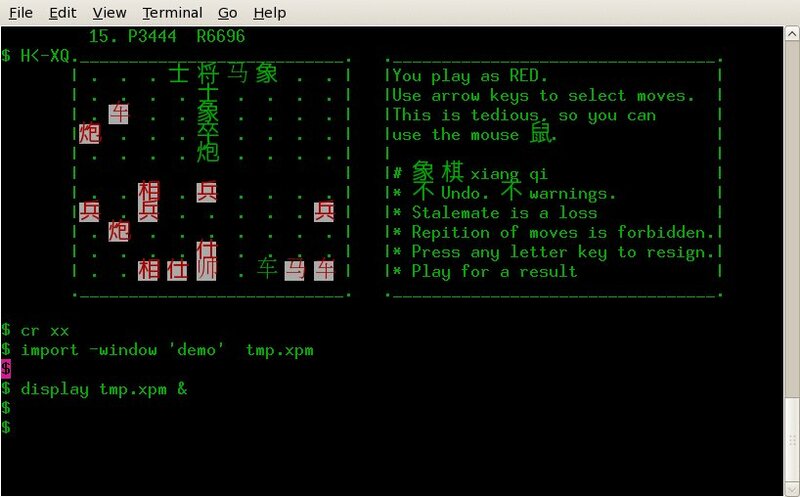 Build Ascii videos, HTML, Chinese Chess, etc. The quickest installation method is to dwnload a self extracting file. Create a new directory, and run dna.exe or rna.exe from that directory. The self extracting gzip files are DNA.EXE and RNA.EXE. Save these to disk in a new folder, and then run them from a command window. You will see a scrolling dna molecule. Press CTRL-C when you are bored and you will see some pull down menus. From these you can access the documentation. There is also the full text of the General Public Licence (GPL). Source code and documentation is in csrc.tgz. There has been no windows delopment since late 2004. Download the files from the newsgroup alt.chinese.text.hz and read these files with a DOS machine. A boot disk image is provided. The reader is in the form of a self extracting program containg 16x16 and 24x24 fonts. The simplest method involves random guessing. A lucky guess will give an immediate factorisation. The odds of doing this are less far less than your chance of being struck by a meteorite in the next ten seconds. Once you have got your factorisation publish it somewhere. My own efforts were an abysmal failure. See my diary. This site contains many links. CAs are now getting onto the maths syllabus in many schools and colleges. Various people think that CAs can provide the theory of everything. Although early simulations were practiced on a Go board it is very hard to design a CA to play Go. The 19x19 Go board became obsolete for tracking life generations once people could more easily use computers. Much modern research has been on positions where even a 1024x1024 high resolution display is no longer adequate to display the interesting areas. This integer sequence comes from the number of ways of placing N mutually non-attacking queens on an NxN chessboard. 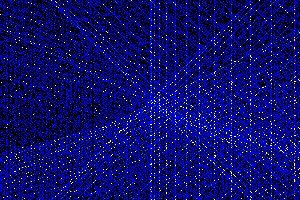 You can see a the source code of a C program which generates the solutions. Durango Bill's website contains a good description of the problem and tables of values. Countdown is a popular TV program in the UK where contestants solve various puzzles including anagrams, longest word from letters and arithmetic problems. The arithmetic problems take the form of six numbers selected at random from the set 1 2 3 4 5 6 7 10 15 25 50 75 and a terget number between 100 and 999. The object is to combine the six numbers using the four basic arithmetic operations + (plus), - (subtract), * (times) and % (divide), and produce the target number. In the TV program the competitors generally go for the closest number they can find in the half minute or so which they are given. Numbers which can be computed will have a non zero index. Impossible numbers will be listed with a zero in the right column. The last twenty years have seen 'The long decade (1989-2001)' followed by 'the short decade 2001-2008'. 1989 was the year of the collapse of communism, and reports of 'The end of History'. Western values would now globally prevail. In 2001 the resistance to this world view was brought into the spotlight with the spectacular destruction of Manhatten's World Trade Center. The period 2001-2008 saw the curtailment of human rights in the 'Western Democracies' and the start of unfinished wars in Afghanistan and Iraq. Finally the 'perpetual motion machine' called 'rising house prices' ground to a halt and the western financial system collapsed in 2008. The same period represented the continued growth of China, which took on a role previously played by Victorian Britain: 'Workshop of the World'. Africa sunk deeper into poverty and the civil wars became land clearence conflicts rather than proxy conflicts between 'cold war' adversaries. Another feature of the last twenty years was a growing awareness of global warming although the link between rising carbon dioxide levels and the greenhouse effect has been known since the 1950s. Ecologists and Green Party supporters have always been saying the current economic system is both undesirable and unsustainable. About one hundred years after Ford the car industry is a sick giant, while the telecommunications industry has transformed the world. Millions of camera equipped mobile phones have great potential for empowering people to spotlight human rights abuses and evade media censorship. In February 2009 Sheffield hosted a Green New Deal Conference. In 2011 we have already seen two meltdown events. Firstly the Arab World has awakened with governments toppled in Tunisia and Egypt along with mass demonstrations in Bahrain and Yemen. Civil war has started in Libya. Secondly, Japan has suffered its worst disaster since the Second World War: a magnitude 8.9 earthquake followed by a tsunami has killed tens of thousands of people, and adjacent nuclear power stations have had fires and explosions following failure of cooling water systems. Steve Withington's website contains excellent photos of the Derbyshire Peak District . On the doorsteps of Sheffield and Manchester, the Peak District is Britain's most visited national park. Ralph Nader's campaign was the razor which cut asunder the much hyped Amercan version of democracy. Since the 1890s combinatorial analysis has been used to analyse results from exit polls and rolling counts, while weighted voting systems have been seriously analysed since the inception of the UN Security Council in the 1940s. Mark Livingston of the University of North Carolina has written an excellent theoretical page. This is one of the more moronic pieces of legislation passed by the 'great and good' of the World. Prohibition was popular in the 1920s in the USA because they wanted to stop drinking, and also in the then colonial world since nationalist leaders in much of Asia were in great emotional pain because of the actions of the British capitalist classes in using Opium to balance the books of their then extensive overses empires. The Japanese control of Opium distribution in China during the 1930s lead to a reinforcement of these opinions. Despite the UN CONVENTION intravenous drug use is rife in Eastern Europe and many people are catching AIDS/SIDA. The UN CONVENTION is a good example of a "harm maximisation" policy. Your government signed you up to this treaty which requires the possession of a huge list of drugs including cannabis, ecstasy and heroin to be a criminal offence punishable by "imprisonment or other penalties of deprivation of liberty". The British foreign secretary, Robin Cook has been pleased to exhort countries such as Singapore and Malaysia to be yet more vigourous in enforcing these laws despite the fact that the Death Penalty is still fashionable for drug offences in these places. Despite widespread oppression of casual users of cannabis, the drug remains a topic of medical research. A Note on repression of the Palestinian people. Javid's blog. Please enable farsi language to view this.